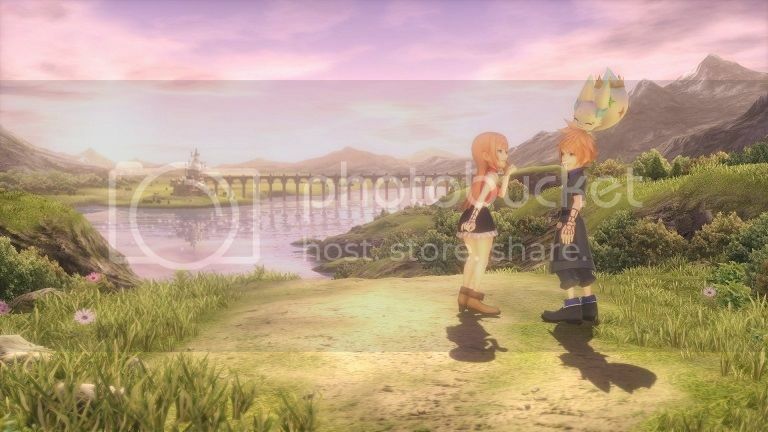 Square Enix shared first details on World of Final Fantasy, coming to PlayStation 4 and PS Vita in 2016, during its E3 2015 press conference. 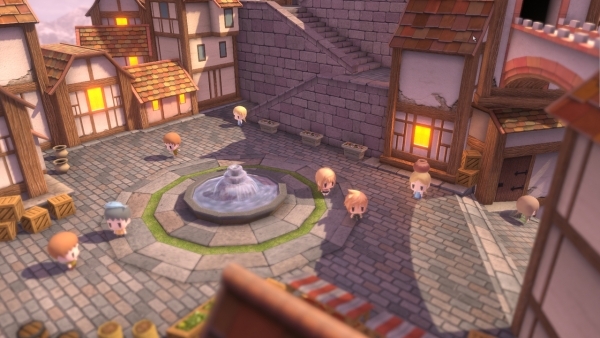 World of Final Fantasy combines classic RPG mechanics with toy-like visuals. 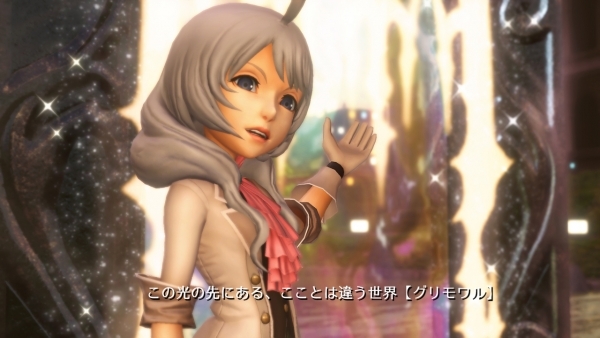 Players will lead a pair of twins through varied Final Fantasy worlds and encounter familiar monsters therein. Monsters such as cactuar, chocobo, and behemoth can be captured and raised, and alternate forms discovered. 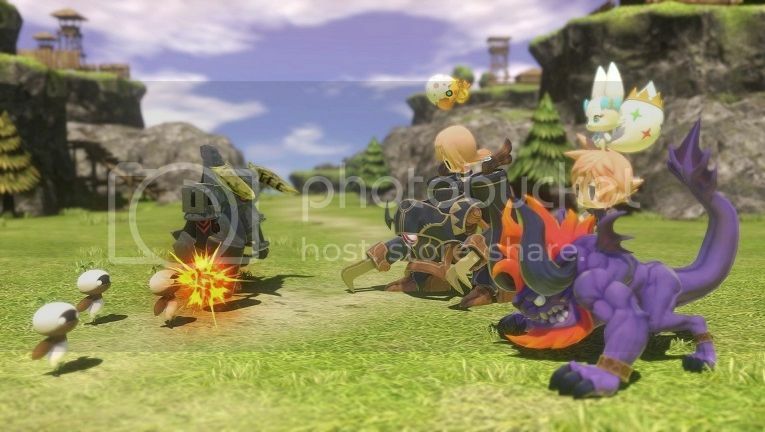 One of the game’s key features its “stacking” ability, which lets the siblings adjust their size, tuning from small enough to jump on to monsters during combat, to big enough to have the monsters ride on the twins. By customizing and stacking an army of monsters, players can create strategic tower combinations and take on the most challenging enemies. ...nung unang nood ko dito akala ko si cloud na talaga yung main character. kamukha lang pala nya. Base sa gameplay trailer na pinakita nung Sony presscon, mukang turn based ang battle system nito which is good. Well for me. Hehe. Old School. Is this due next year? 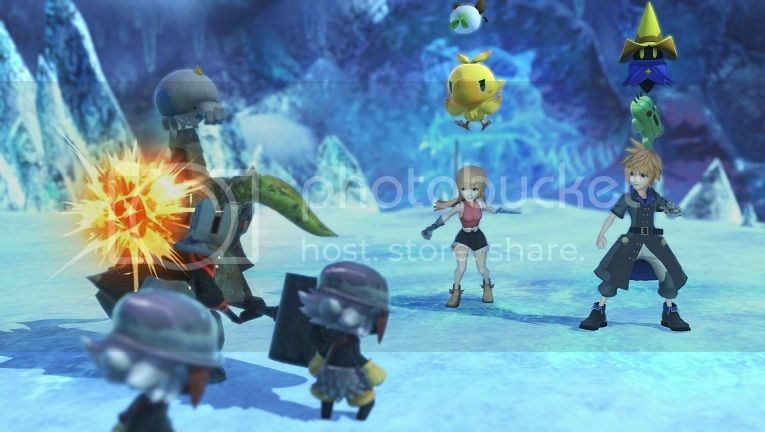 New details on World of Final Fantasy has come out of a GamesBeat E3 interview with producer Hiroki Chiba. 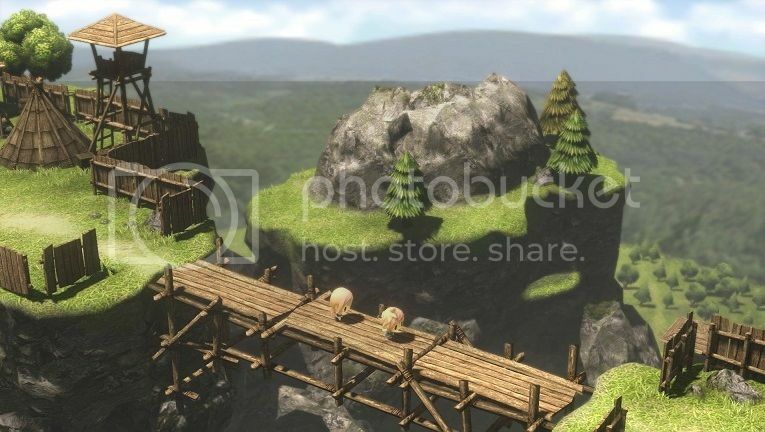 -The world encompasses elements from a lot of other Final Fantasy games. 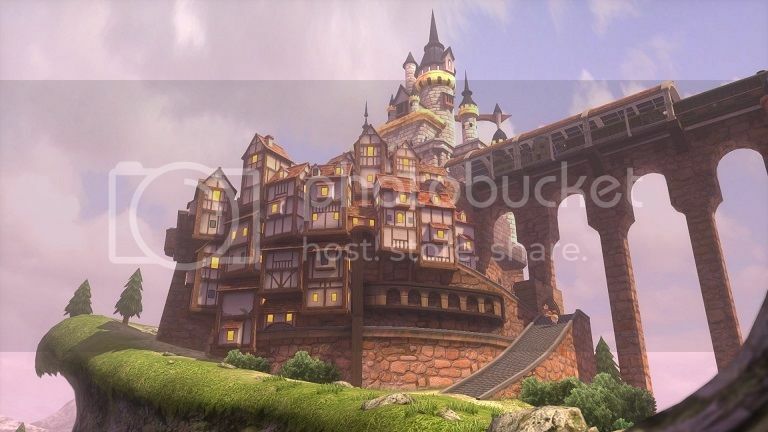 For example, the scene where we see the characters on a bridge to a big castle, that castle is based on Cornelia’s Castle from the original Final Fantasy. -You befriend monsters by battling them. There is a system involved, which Square Enix won’t disclose, but it is used to capture or befriend them. Some monsters can only be captured by clearing different storylines. -You can change the protagonists’ sizes from small to big at any time with the push of a button. When you’re smaller, you can ride on monsters. When you’re bigger, you can stack monsters on top of you. 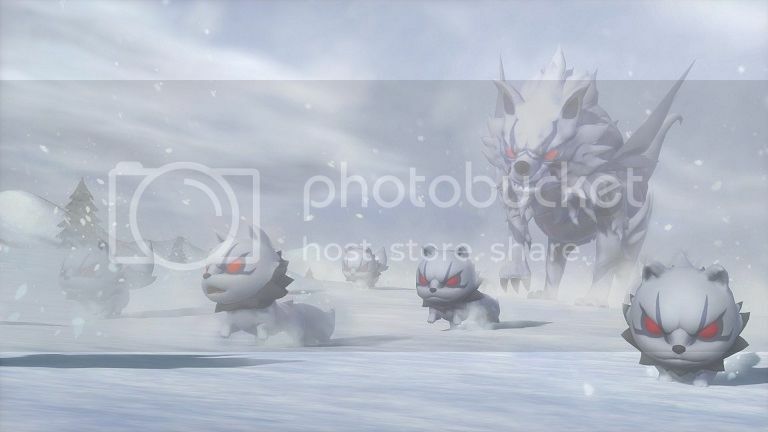 The formation will affect the stats and abilities you use in battle, and you can also freely stack monsters. -The new style is meant to draw in a younger generation to Final Fantasy. Tetsuya Nomura did the designs for the main characters. 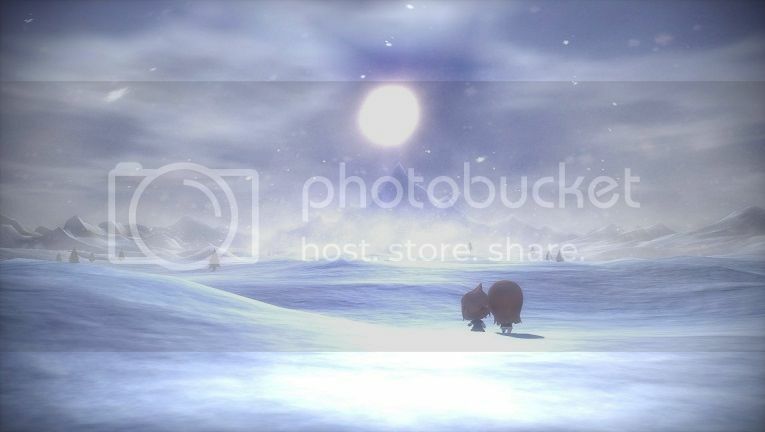 -Some of the monsters are voiced and appear in the story. There will also be completely new monsters never seen before in Final Fantasy. 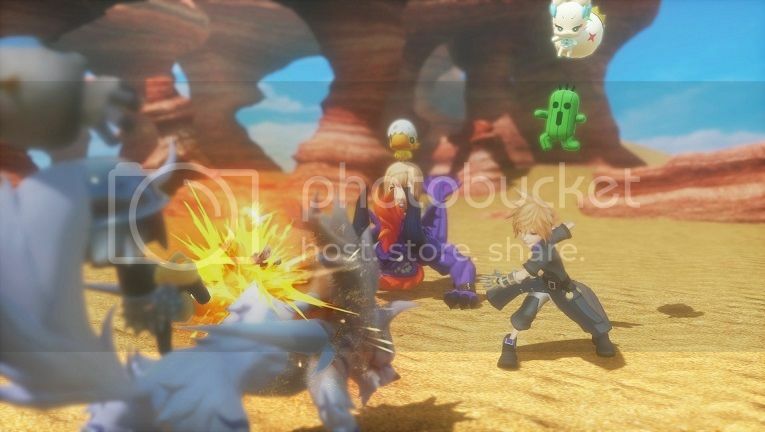 -Cloud and the Warrior of Light will appear in the game. All of the characters from previous games that appear will be part of the main story. There will be side quests for players who want to learn more about their stories. -The story is about two siblings who came from a world of bigger people to a different world of smaller people, called “Grimoire. You can have up to six characters/monsters in battle. Parties consist of the siblings and four monsters. -The game will have cross-save and be released in both physical and digital formats. -The game will contain new songs, such as the song in the trailer created by Masashi Hamauzu, as well as re-arrangements of songs from previous Final Fantasy titles. Hamauzu is also handling those arrangements. ...bakit minsan chibi sila during battle, minsan naman hindi? Tibarn wrote: ...bakit minsan chibi sila during battle, minsan naman hindi? ...nice very interesting! So far 2 characters palang from previous FFs nakikita ko(vivi and cloud). sana andyan lahat kahit from FF7-FF13 lang. Meron pa palang isa, parang from FF3 ba yun? yung naka full body armor? 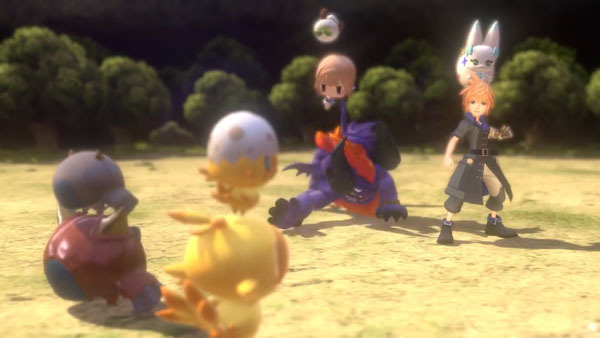 Square Enix released a new trailer for World of Final Fantasy during SCEJA Press Conference 2015. The game is due out for PlayStation 4 and PS Vita in 2016. 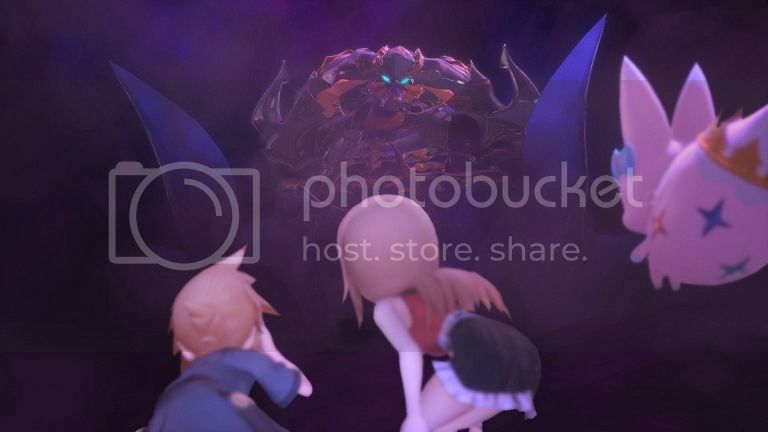 Square Enix has released a new set of screenshots for World of Final Fantasy following its new trailer at the Tokyo Game Show last week. The RPG is due out for PlayStation 4 and PS Vita in Japan in 2016. A woman who one day suddenly appears and invites the two protagonists to the “Grimoire World.” She leads Ren and Ran into the unknown world with the expectation that they’ll regain their lost memories. Cornelia – A town that debuted in the original Final Fantasy. 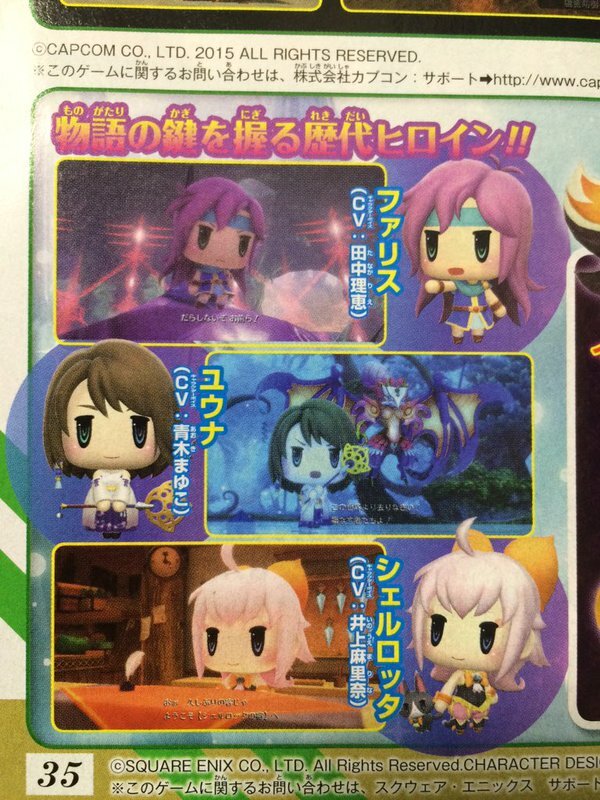 In the latest issue of Jump magazine, Square Enix revealed 3 new characters that will be included in World of Final Fantasy. The first chracter you can see on the scan is ‘Faris’ from Final Fantasy V (voiced by Rie Tanaka), in the middle is one of the more known characters in the FF series, which is ‘Yuna’ from Final Fantasy X (voiced by Mayuko Aoki) and the third character is ‘Sherlotta’ from Final Fantasy Crystal Chronicles: Echoes of Time (voiced by Marina Inoue). They will all play a key role to the game’s story.